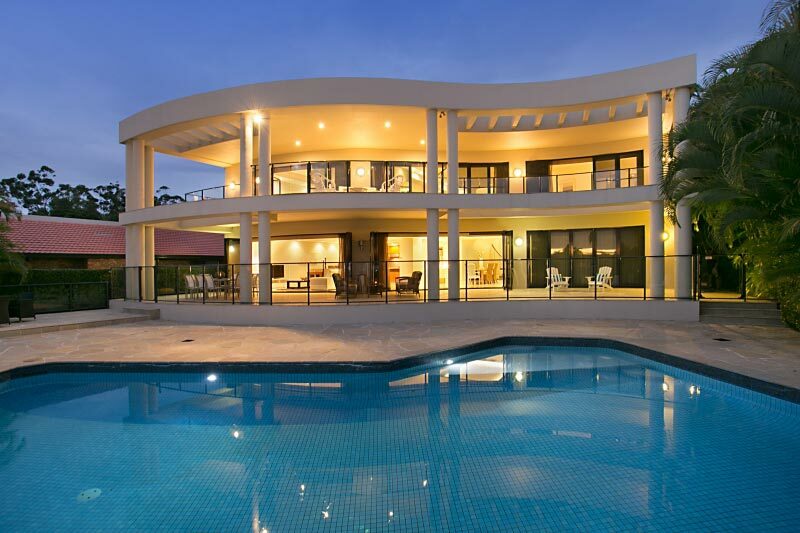 Welcome to another, stunning luxury Gold Coast holiday home – Riviera Luxury Estate! This beautiful property is located on the Main River, with spectacular water views on one side and beautifully landscaped grounds on the other. With 7 bedrooms, 6 bathrooms and sleeping a total of 14 people, Riviera Luxury Estate is perfect for family holidays or corporate getaways. There’s plenty of room for everyone, without stepping on toes – there are 3 separate indoor lounge rooms, an outdoor entertainment area, plus a huge 8 car garage. And, if you’re after that little extra touch of luxury, a personal concierge is available on request. It’s also perfectly designed to help you make the most of the water, with a large swimming pool and a private pontoon for your use. If you have any questions or wish to make a booking, call on 07 5592 3881. We’re here to help!